On Saturday, November 22, 2014, Teachers for Social Justice (TSJ) hosted their 13th Annual Teaching for Social Justice Curriculum Fair. 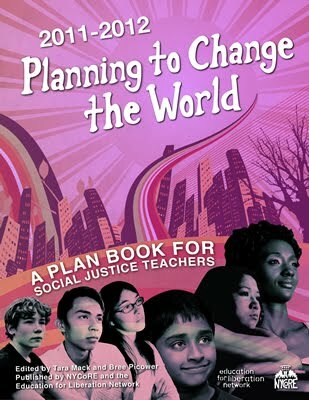 TSJ is an organization of educators who is committed to education for social justice. The fair brings together educators and supporters from across the county to educate and share ideas about how schools can empower students. This year's fair focused on 'Democratize Education! Democratize Chicago!' This year, TSJ was honored to host two educators who have dedicated their lives for a just educated. Kali Akuno from Malcom X Grassroots Movement and Jackson from the Chicago Teachers Union were the keynote speakers. In addition, 15 workshops were held on issues, a few included discussing using education to resist neoliberalism, strategizing for economic and political democracy, resisting standardize tests, cop watching, among others. Also, over 60 excellent exhibitors and organizations presented their resources and curriculum to share with attendees. This year's curriculum fair attracted over 800 people. The fair was held at North Grand High School in the North West side of Chicago.